As specialist solicitors, we offer our Altrincham and South Manchester clients a professional, friendly, approach allied to the best quality legal advice. We pride ourselves on the level of customer care we provide and our aim is make to your transaction a quick efficient, cost effective one. Founded in 1977 by Roger Colling we are one of Altrincham's leading property, probate and personal injury solicitors becoming a popular choice for residents and businesses in the area. As part of our determination to provide the best service we have been awarded the Law Society's Conveyancing Quality Scheme mark. It's the acknowledged quality award for those involved with conveyancing and it's simply another indicator of the steps we are taking. If you're looking for an established firm of solicitors who take a proactive approach to the provision of legal services please do not hesitate to get in touch. Please either complete the form on the right, call us on 0161 928 5558 or email Frank via fottavianelli@collings-solicitors.co.uk. The CQS scheme requires practices to undergo a strict assessment, compulsory training, self-reporting, random audits and annual reviews in order to maintain CQS status. It is open only to members of the Law Society who meet the demanding standards set by the scheme and has the support of the Council of Mortgage Lenders, the Building Societies Association, Legal Ombudsman and the Association of British Insurers. Accident Claims Conveyancing For Business Industrial Disease Inheritance Tax Probate Wills Or Other. From our Altrincham offices we provide a premium service that's the envy of our rivals. We provide a range of legal services that include Conveyancing, Remortgaging, Wills, Probate & support for our Commercial clients. Please call, email, or complete the enquiry form and we'll provide the assistance you need. The Law Society of England & Wales has warned that without additional funding the outcome of a public enquiry into domestic abuse will have litle impact. 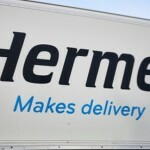 Drivers for Hermes are being offered guaranteed minimum wages and holiday pay. In Greek mythology, Hermes is the god of trade, merchants, commerce, roads and travellers. He is also the god of trickery. The parcel delivery firm that shares its name with the Olympian deity, might be associated with all those things, except, possibly the last on that list. 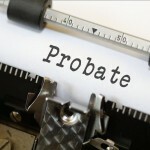 HM Courts and Tribunals Service announced yesterday that the probate application system, which has been tested by invited users since 2017, is now available to most named executors in England and Wales. If you're buying or selling a property or business, our #Altrincham lawyers can assist you with a range of commercial conveyancing matters. If you need help with the distribution of an estate and assets after losing a loved one, our #Hale Wills and Probate team can assist you.